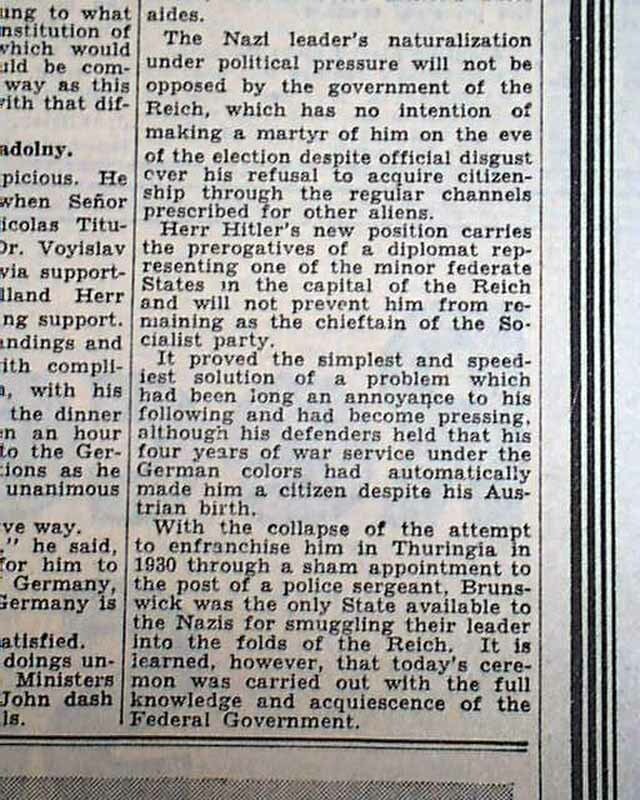 Page 9 has an article headed: GERMAN CITIZENSHIP ACQUIRED BY HITLER" "He Receives an Appointment to Post of Attache at Berlin Legation of Brunswick" See images for text here. Other news, sports and advertisements of the day throughout. 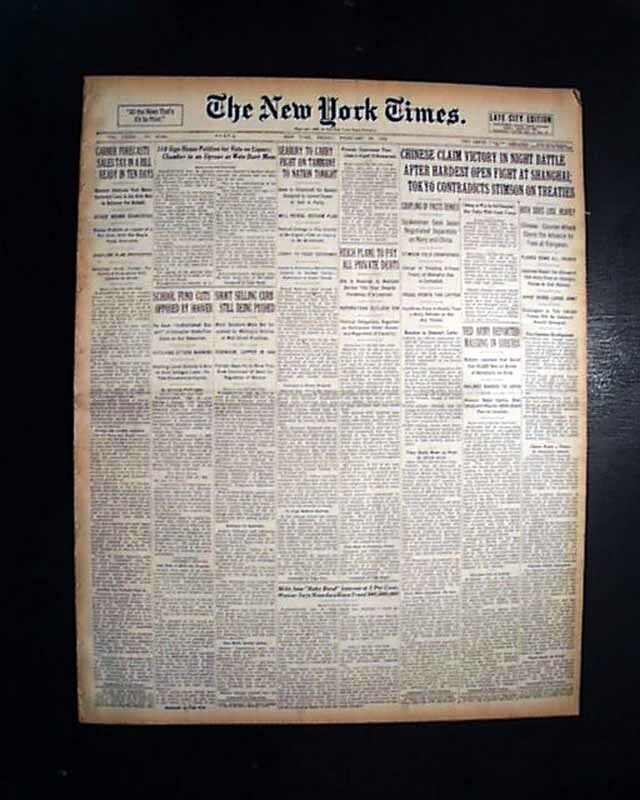 Complete in 40 pages, very minor margin wear, nice condition. 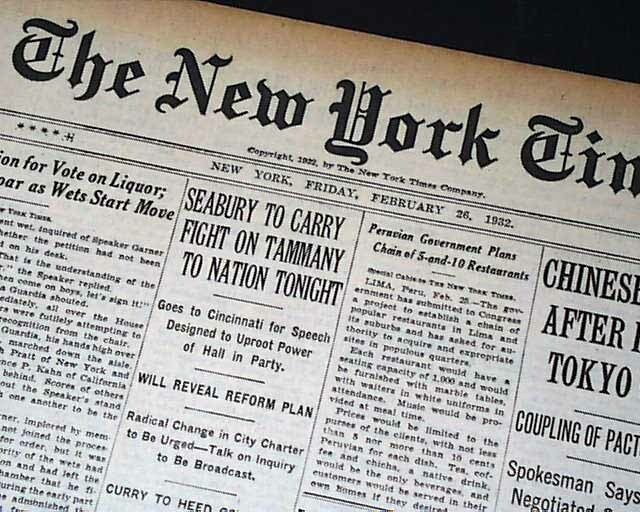 wikipedia notes: In 1932, Hitler intended to run against the aging President Paul von Hindenburg in the scheduled presidential elections. Though Hitler had left Austria in 1913, he still had not acquired German citizenship and hence could not run for public office. 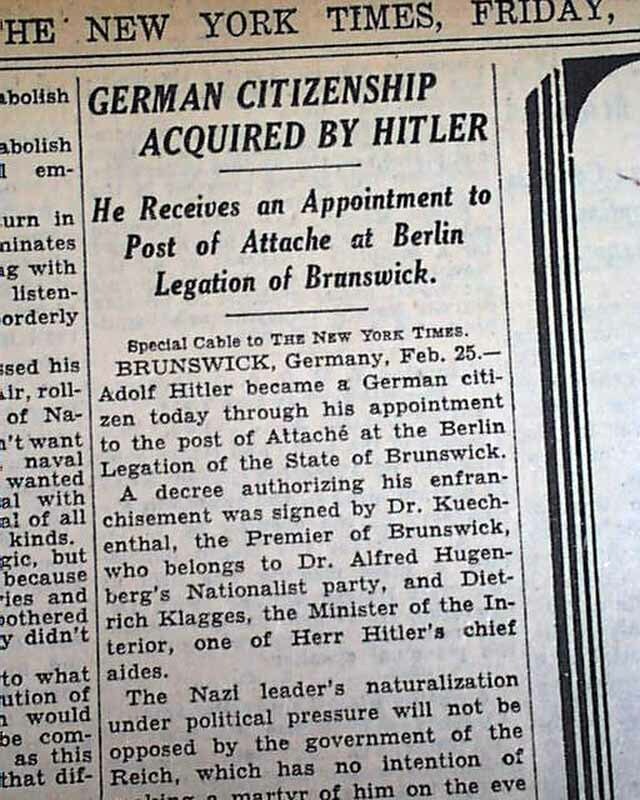 In February, however, the state government of Brunswick, in which the Nazi Party participated, appointed Hitler to a minor administrative post and also made him a citizen of Brunswick on 25 February 1932. In those days, the states conferred citizenship, so this automatically made Hitler a citizen of Germany and thus eligible to run for president.